Mahalo for you interest in luxury tours with DanielsHawaii. We provide private and semi-private small group tours on Oahu and Maui. We believe that the best way to explore Hawaii is in smaller groups. However, we can accomodate any group size. Please contact us directly for questions: +1 808 384-0116 or via E-Mail or Facebook. Our luxury Mercedes vans seat 7 passengers comfortably. The new Mercedes Metris is a luxury van with leather seats, A/C, big windows so you can even take pictures while we are driving and plenty of legroom for all 7 guests. DanielsHawaii is proud to operate german engineered vehicles, bought locally at Mercedes Benz of Honolulu. We are happy to offer comfortable and luxury tours for families or bigger groups of up to 14 passengers. Fully equipped with leather, plenty of legroom for every guest and big windows so you can even take pictures while moving. 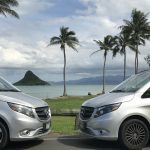 The DanielsHawaii Mercedes Fleet is perfect for small groups, families or even single travelers. Interested in a luxury VIP tour in Hawaii? Let our professional guide show you the island in a TESLA Model X with Falcon Wing doors or in our Escalade. Our private tours in these luxury vehicles are fully customizable. The TESLA is a fully electric vehicle. While you’re on tour with DanielsHawaii you are doing something for the environment. We also operate a luxury Helicopter on Oahu – Robinson R44. The beautiful, well maintained and safe Robinson R44 is a great way to explore the island of Oahu. With enough room for 3 guests, every guest has a window seat. The air conditioned helicopter is operated by 808Airmen. Check out our Helicopter flights on Oahu. 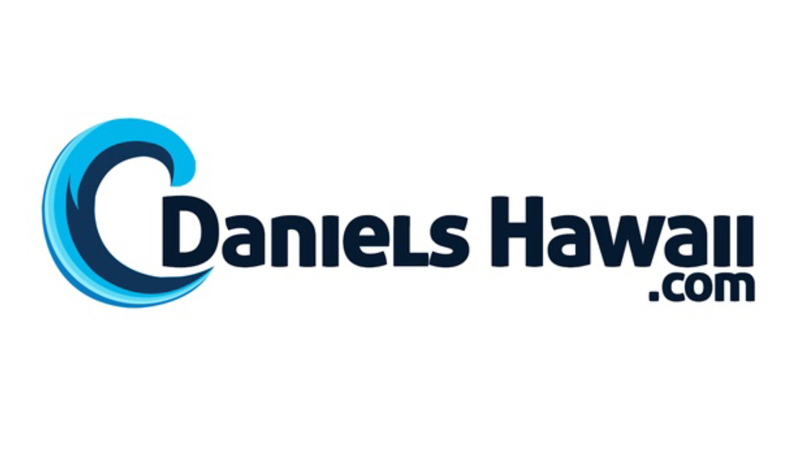 DanielsHawaii is the ONLY Tour Company on Oahu offering a ground tour in combination with a helicopter flight. The perfect way to explore Oahu by land and air in one day. Check it out! Mahalo for being our guests! Next articleRain in Hawaii- What to do when it rains during your vacation in Hawaii?